Plants. Sun. Stone. Nothing else needed. All photos by Hope Cohen. 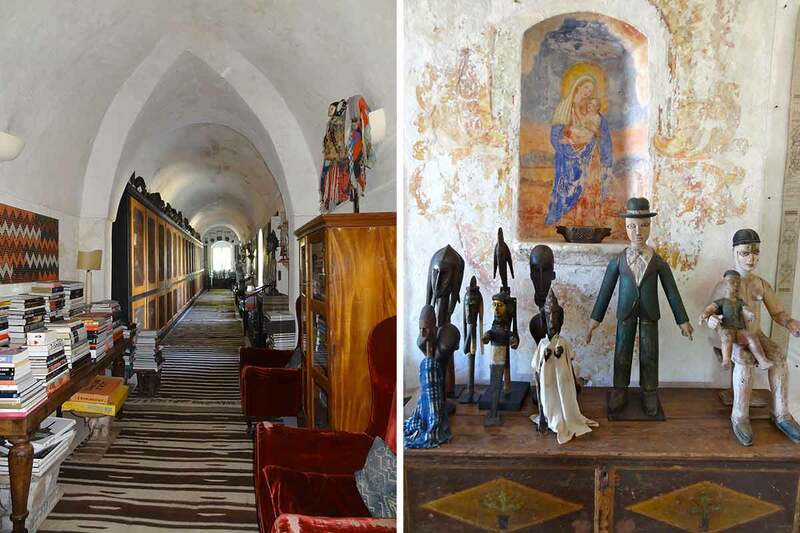 The art collection, the succulent gardens, the sweet staff: Everything at Il Convento di Santa Maria di Costantinopoli, a convent-turned-palazzo in Puglia, Italy, will inspire you to unplug and engage your senses. Hope Cohen checks in for pure magic. PUGLIA, Italy - If you've dreamed of spending lazy days luxuriating at a private palazzo on the rustic, rugged coastline of Puglia in Southeast Italy, your dreams are about to become reality. Imagine a traditional convent, hidden in a tiny village, behind thick ancient walls, adjacent to a small chapel and endless groves of olive trees. 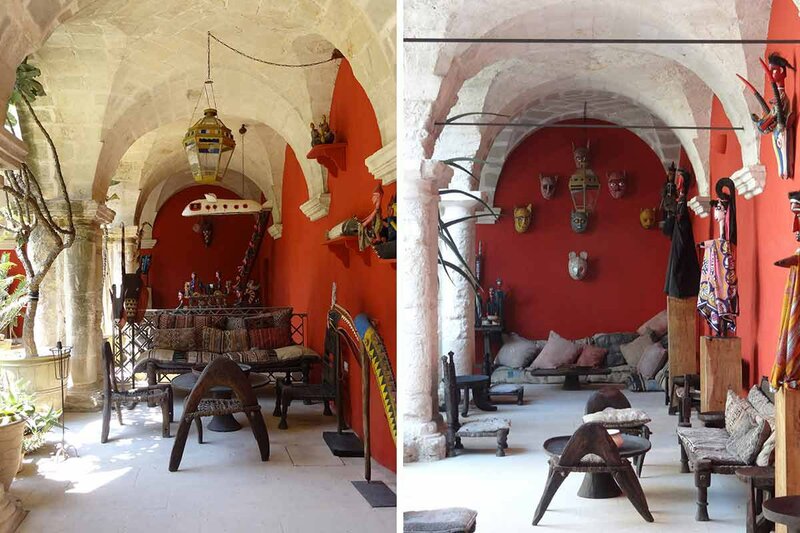 This is the magnificently restored Il Convento di Santa Maria di Costantinopoli. Don't bother looking for the website, as it does not exist. And take a deep breath: There are no telephones or televisions. There is no Wi-Fi in the building, though you will be able to roam and access 3G outside or go to a nearby bar for WiFi. 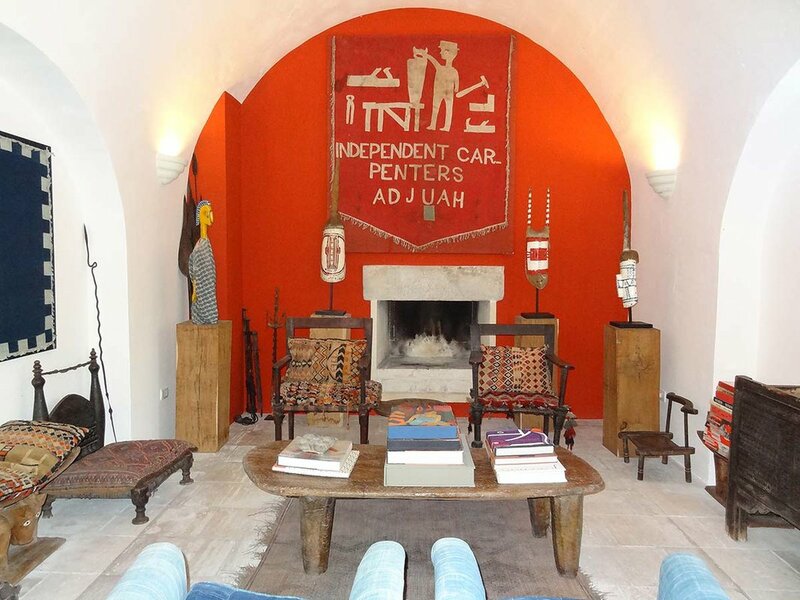 The unique converted 15th-century convent is the home of Athena McAlpine, the wife and recent widow of Lord Alistair McAlpine of London, who treats guests as though they are visiting friends. 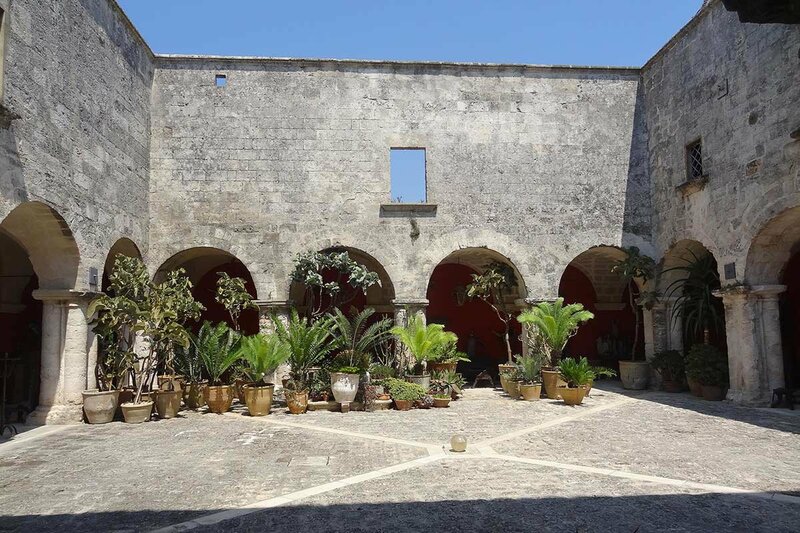 Just beyond the unmarked entry to the property lies the traditional cloistered courtyard that is central to the building, where I easily imagine the nuns quietly moving about the stone floors during their daily rituals. A perfect balance of old and new, the vibe is a mix of hip and modern, with a chill Hotel Costes soundtrack playing in the background and contemporary chaise loungers at the pool. Everywhere is an explosion of artwork and textiles from Africa, India, and beyond in a profusion of colors. 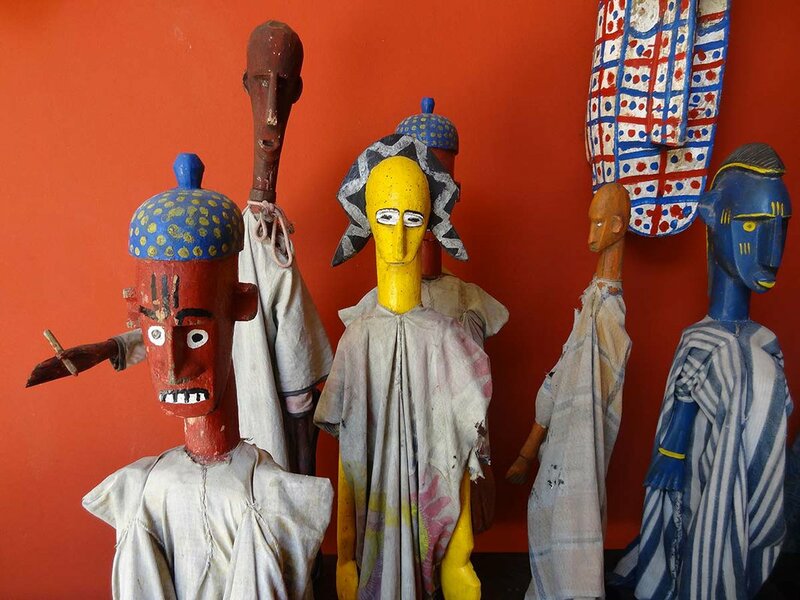 The result of Lord McAlpine's extensive travels through the decades, the collections include an impressive array of masks, artifacts, and sculptures that have been curated in a spectacular way. Individual rooms within interior and exterior spaces are both cozy and visually exciting. Low couches and tables in the courtyard brought back memories of riads I've visited in Morocco. Athena is also an avid reader, a lover and collector of books. 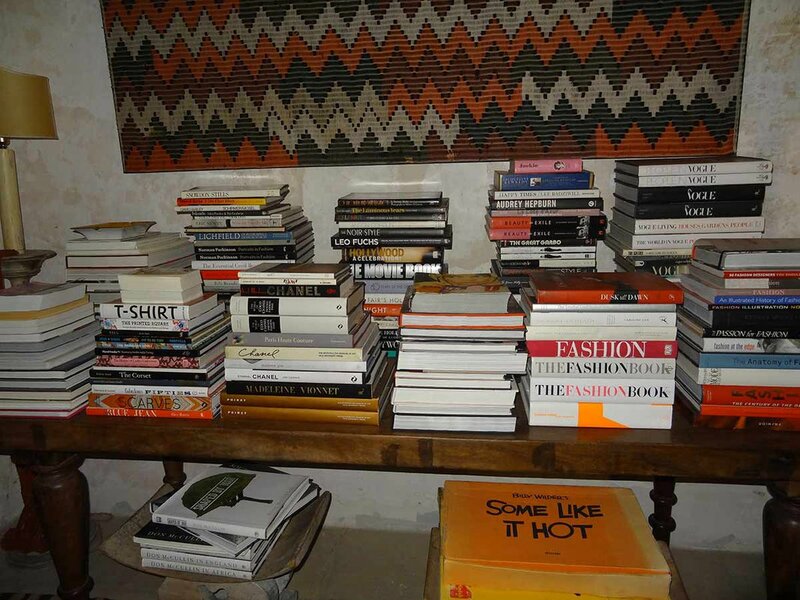 The library, halls, and many surfaces are packed by the thousands — there are literally stacks and stacks of every type of art and culture coffee table tomes, in addition to novels both old and new. You could easily get lost in her books for your entire trip, but then you might miss the windows that frame the end of the long hallways and their stunning view of the gardens and the Pugliese countryside. 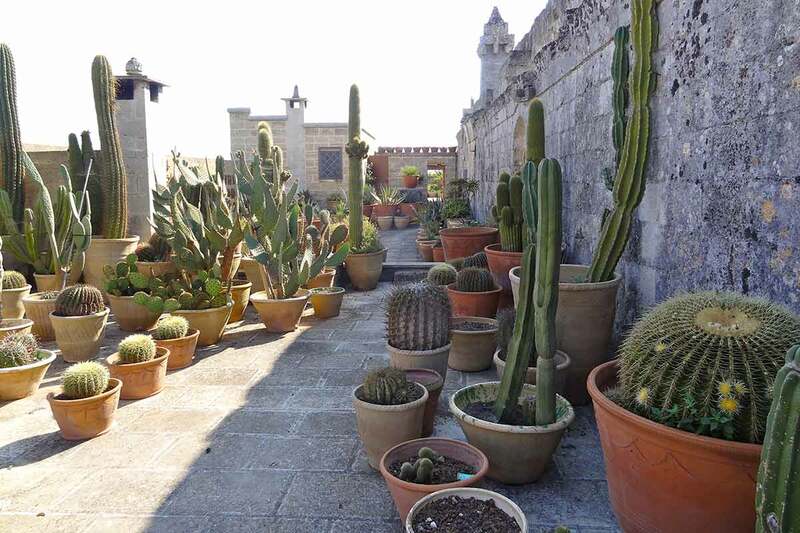 The flat rooftop cactus and succulent garden is a vast array of gorgeous pots filled with every size and shape of cactus I've ever seen, including a very tall variety that was in full bloom on the late summer evenings I was in residence. Adjacent to the roof garden is a spacious and airy room used for massage, which can be booked daily. The spiritual masseuse, who doubles as a yoga instructor on demand, gave me the most relaxing deep tissue massage. The entire property is a riot of gardens — potted herbs, plants, flowers, and trees, from the kitchen garden — where locally made Italian pots overflow with jasmine, basil, assorted herbs, and lemon verbena (which I assume must be Athena's favorite plant, given how it grows in abundance) — to the more formal garden in the pool area filled with roses and hundreds of varieties of perennial flowers and fruit trees. Afternoons at the freshwater pool are a tranquil place to laze away the day, reading, eating, drinking, and breathing the sensual floral aromas from the nearby gardens. The food story here is phenomenal. Breakfast, daytime snacks, and alcoholic beverages are included in your stay. The day begins with a grand breakfast in the beautiful formal dining room prepared by Pierluigi, a local Pugliese chef, and Cecilia, his lovely mother. The communal table overflows with bowls of local seasonal fruits, freshly pressed juice blends (I adored the honeydew melon), breads, pizzas, pastries, and an assortment of locally produced jams and marmalades. Wander down whenever you wake up, and Pierluigi will happily prepare a proper English breakfast with local eggs however you like them. I adored knowing that breakfast was served from 8 a.m. until noon, allowing my internal clock to dictate when I would float downstairs for breakfast — a nice change from the rigid hours too many inns favor. Throughout the day, guests are welcome to help themselves, and there are always local crackers, breads, pizzas, fruit, wine, cheeses, cookies, and more for snacking. 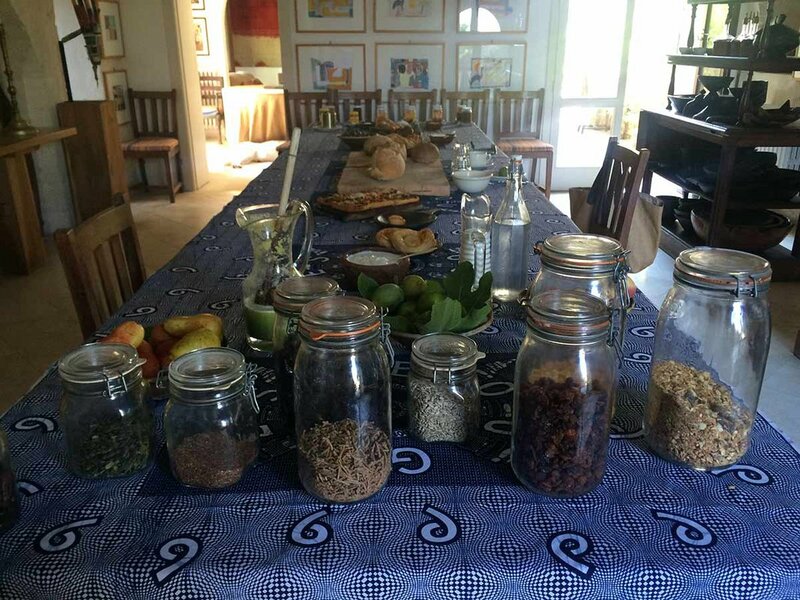 The chef-prepared lunches and dinners are fabulous, reasonably priced, and must be reserved in the morning. I loved that my cravings for specific dishes were taken into account. Lunch will likely feature local fish or shellfish that is available that day (and is, yes, as most everything you'll eat here, also local). I ate mussels (cozze) prepared in a typical Pugliese style with tomatoes and garlic, served with the simplest and most magical fresh cucumber salad with mint. The wines flow freely. The rosato comes from a nearby producer (as do all the house wines) — it was crisp and perfect with the cuisine and the hot summer temperatures. One of my favorite house beverages was the iced espresso coffee served with sweetened Italian almond milk. At about 5 p.m., a dip in the pool, an Aperol spritz and a handful of pistachio nuts capped the afternoon. If you don't mind driving at night, there are towns and villages nearby where you can eat well. 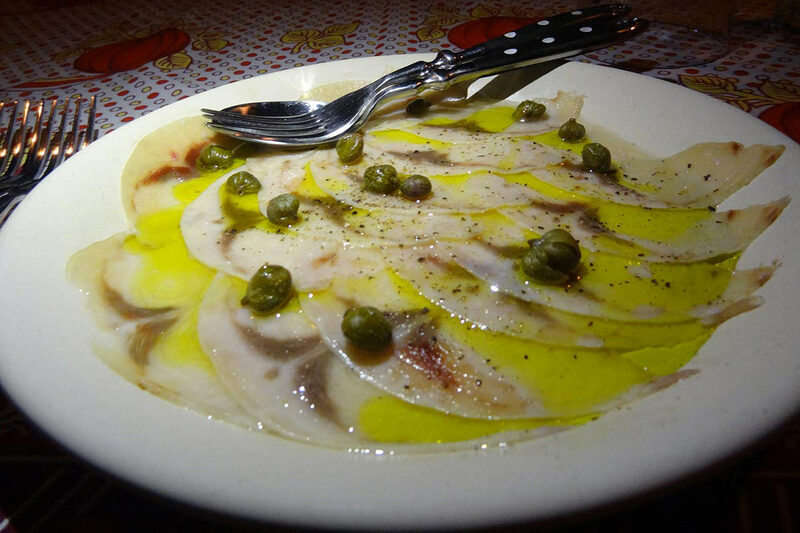 I had a great dinner and fab evening in the nearby town of Tricase Porto, which ended at a local bar listening to a Rolling Stones cover band, but the quality of the food and the beauty of the setting at Il Convento are such that I highly recommend staying in for dinner. Private, candlelit garden areas are set so guests can have their own romantic dinners. That said, it is just as likely that guests will socialize and join one another for dinners featuring local specialties like house-made pastas, vegetables, and salads. One evening, we had a mixed grill of meats, including rabbit, sausages, chicken, and pork, all grilled on the open air BBQ in the garden. Another evening, it was pristine local fish. Guests may linger late into the evening sampling the myriad of delightful house-made grappas flavored with blueberry, citrus, clove, and spice. 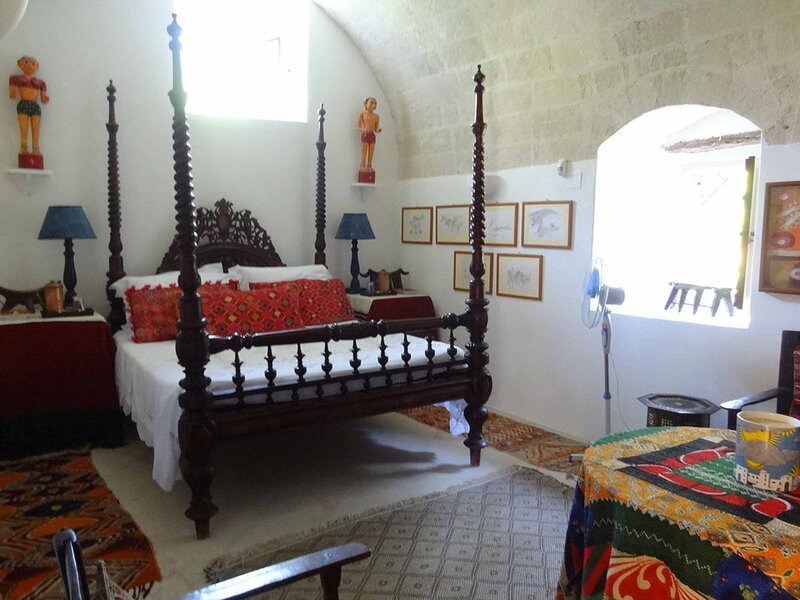 There are only eight rooms at Il Convento, and they are all the original bedrooms on the first and second floors. 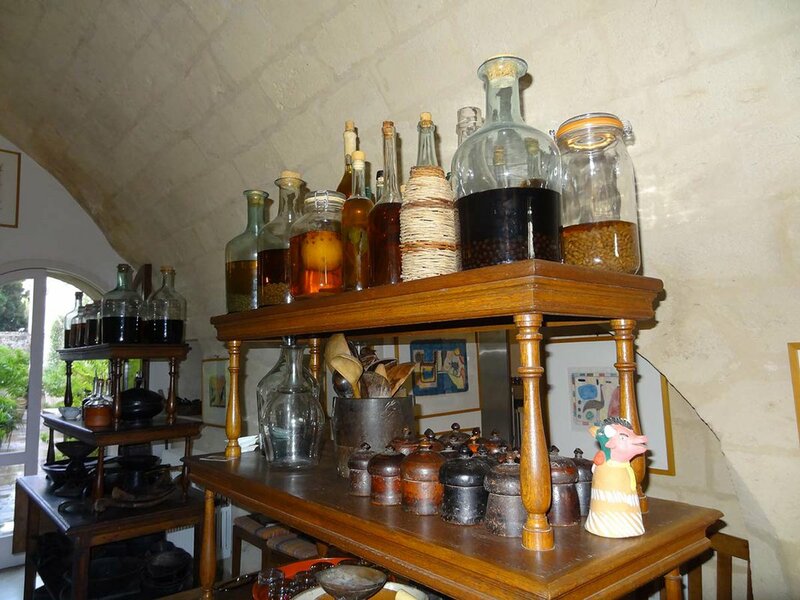 Every room is decorated in a different style, with books, textiles, and artifacts adorn throughout. While each has its own large, private bathroom, several of the baths are located across the hall from the bedrooms. The beds and linens are top-notch and super comfortable. Daily laundry service is included. Your items will be lovingly laundered and expertly pressed. Housekeeping runs seamlessly, as you would expect in a private home, and any request is answered with a "yes." Need pressing? Yes. Need beach towels for a trip to the coast? Yes. You get the picture. There is no air conditioning at Il Convento, because, as Athena told me, she "could never imagine compromising the architectural integrity of the property." There's usually a constant and beautiful breeze, and on those super hot days in July and August, very quiet fans are provided, to help everyone sleep through the night. I would recommend bringing a mosquito repellent: The zanzare can get brutal at dusk and into the evening. My second-floor bedroom had a wrought-iron bed, a sitting area, and a small balcony overlooking one of the gardens and the countryside. Bedrooms on the first floor are cooler in the warm summer months. 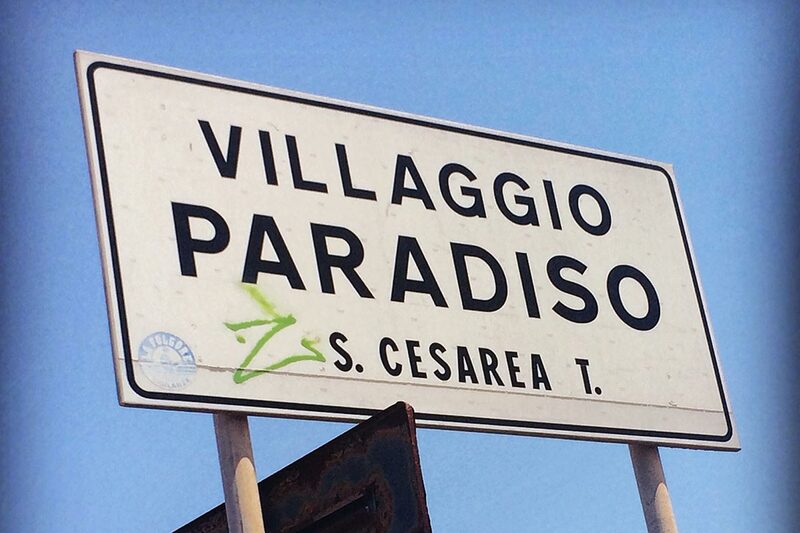 Unplugging from our hyper-connected lives, reading, relaxing, lounging, taking advantage of la dolce vita, and all the raw magic this land has to offer. People who don't appreciate the beauty of eclectic, unique properties and people who require flat-screen TVs, high speed internet, and air conditioning to be happy at a hotel. 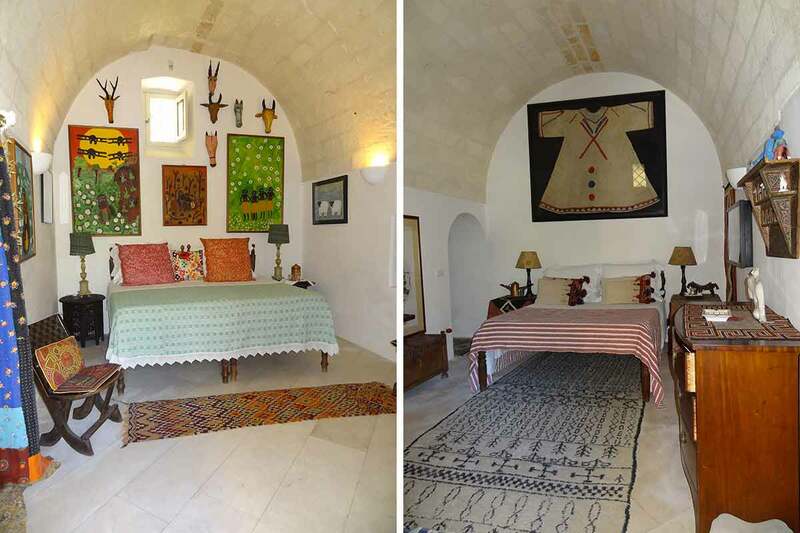 The cost is 310 euros per night for a single occupancy. This includes breakfast, all refreshments throughout the day, including wine, and full laundry service. The towns and ports dotting the southernmost coast of Puglia are breathtakingly beautiful and charming. Rent a car to explore the many beaches, historic fortress towns, and chalky dramatic cliffs. From Otranto South, you'll discover Capo d'Otranto, the easternmost point in Italy, leading to the heel of the boot and Santa Maria de Leuca, where the Ionian Sea meets the Adriatic and you'll experience the most vibrant sea colors imaginable. Most of the port towns have small beaches, clubs, or beach resorts where you'll find beach chairs available to rent for the day and local seafood, picnic foods, and wines for lunch. 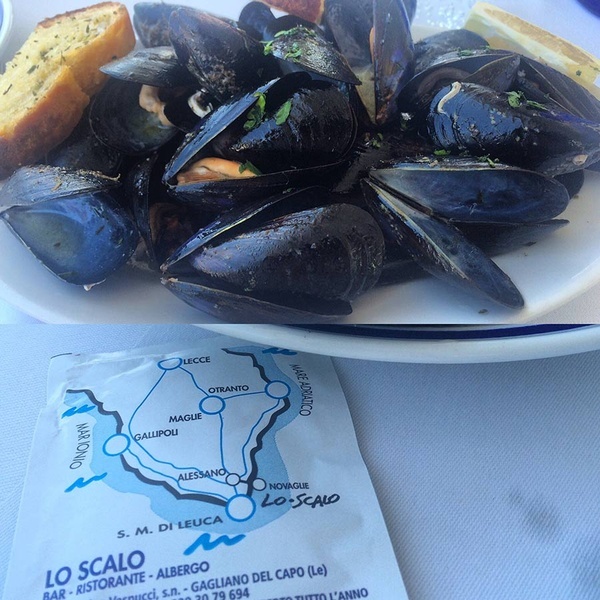 I especially adored my afternoon at , in Marina di Novaglie, where I rented a beach chair by the restaurant, swam in the azure sea, watched the locals jump and dive from the high rocky cliffs, and ate some of the sweetest mussels imaginable. Athena, the beautiful and stylish proprietress, is adept at drawing maps when you need a visual for direction. 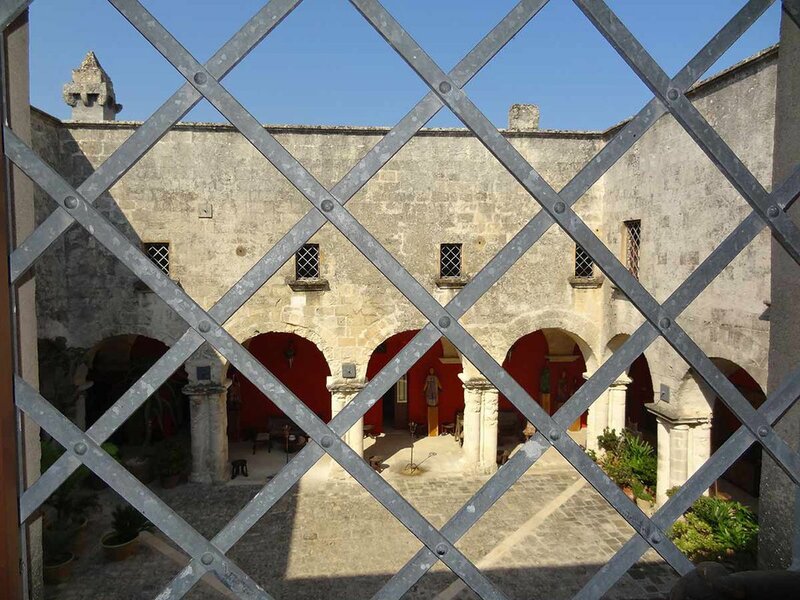 Il Convento is located in Marittimo di Diso, a two-hour drive from Bari a one-hour drive from Brindisi. Both Bari and Brindisi are accessible via rail or air from other European cities. Il Convento will send a driver to collect you at your airport if you prefer and will also arrange for a rental car to be delivered to the property at your convenience. 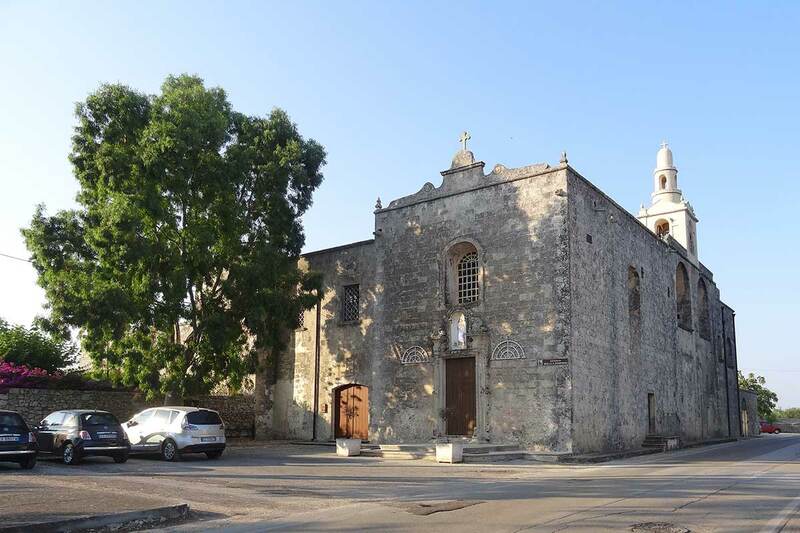 As hard as it is to tear yourself away from the beauty that is Il Convento di Santa Maria di Costantinopoli, I highly recommend renting a car or hiring a driver to explore the region. is a chef, author, world traveler, media personality, and producer and host of "", a two-minute video series highlighting Philadelphia’s food scene. You can follow her on Instagram and Twitter at @hopecooks and @icravephilly. She travels for the sea and in search of her next meal, but not always in that order.